Carrying a water bottle to PT, on flights, a deployment, or even around the office is a great way to keep fresh water at your fingertips. 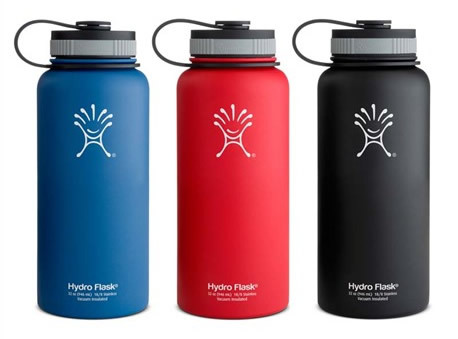 In this post I will compare three water bottles I’ve owned over the past 10 years in the military and show why I feel the Hydro Flask is the best ever! 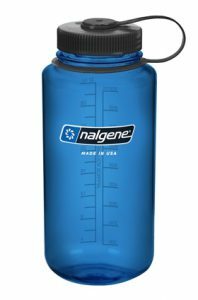 The Nalgene Wide Mouth was my first water bottle. This water bottle is tough, lightweight, and BPA free. What I did not like was how fast water would warm up while exposed to heat. Water is fairly gross when warmed up to a certain temperature. Also, the Nalgene ages quickly, meaning the bottle will become very faded and somewhat cracked over a couple years. The CamelBak Eddy was my water bottle of choice for many years. It’s smaller than the Nalgene. I think it’s best selling feature is the flip-up drinking spout. 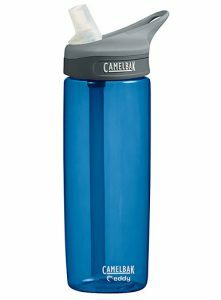 I’ve seen A LOT of military using the CamelBak Eddy. This water bottle feels fairly strong. My current water bottle and favorite so far is the 32 oz Hydro Flask. This water bottle keeps water cold for a VERY long time. Ice can easily last in it overnight, and often times to about 24 hours. The Hydro Flask is durable and leak free. Their company provides great support as well. I dropped my Hydro Flask in an airport recently and cracked the lid. It still didn’t leak, but I used the company’s warranty form to see if I could get a replacement lid. They sent me a new lid for free, no questions asked! The other thing I’ve seen people doing in the military is engraving them and giving them away as gifts. 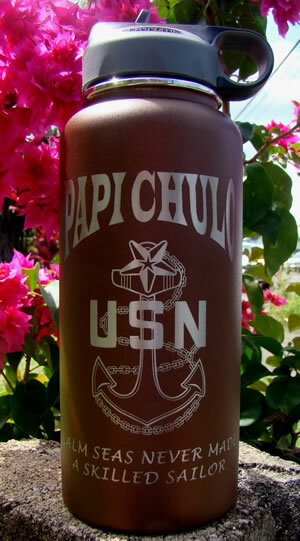 A company in Las Vegas called Lazer Ladies engraves Hydro Flasks. I’ve heard the cost is around $30. How about you? What is your favorite water bottle?